Thanksgiving day dessert #2. 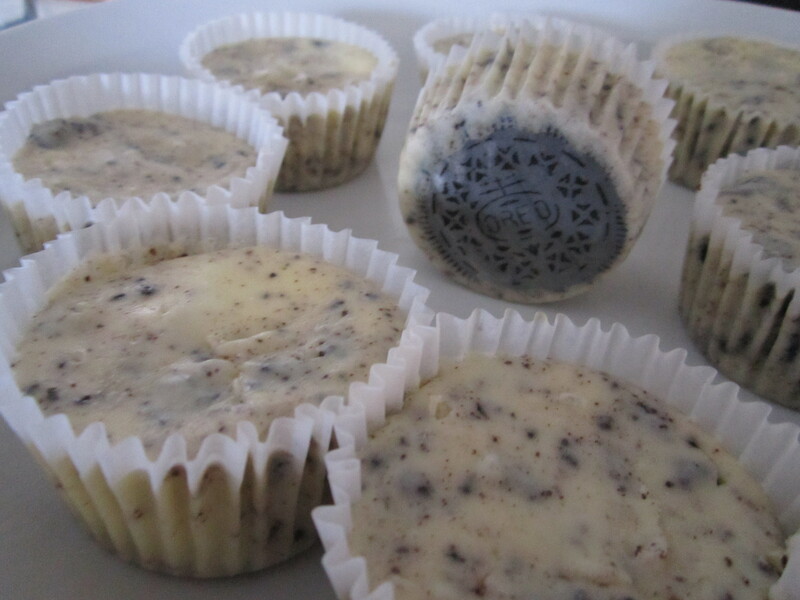 These mini oreo cheesecakes were to. die. for. Mina has already asked 3 times in the past 24 hours to make more. I chose to make these in addition to the Mini Pumpkin Cheesecakes for all the pumpkin haters out there. I’m glad I did because they were such a hit. I got this recipe form The Girl Who Ate Everything (originally from Martha Stewart). I cut the recipe in half although I probably should’ve just made the full recipe… I have a feeling I’ll be make more sometime in the next couple of days. The original recipe makes 30. 1. Preheat oven to 275°. Line standard muffin pan with liners. Place 1 whole cookie in the bottom of each liner. 4. Divide batter evenly among cookie-lined cups, filling each almost to the top. Bake, rotating pan halfway through, until filling is set, about 22 minutes. 5. Transfer to wire racks to cool completely. 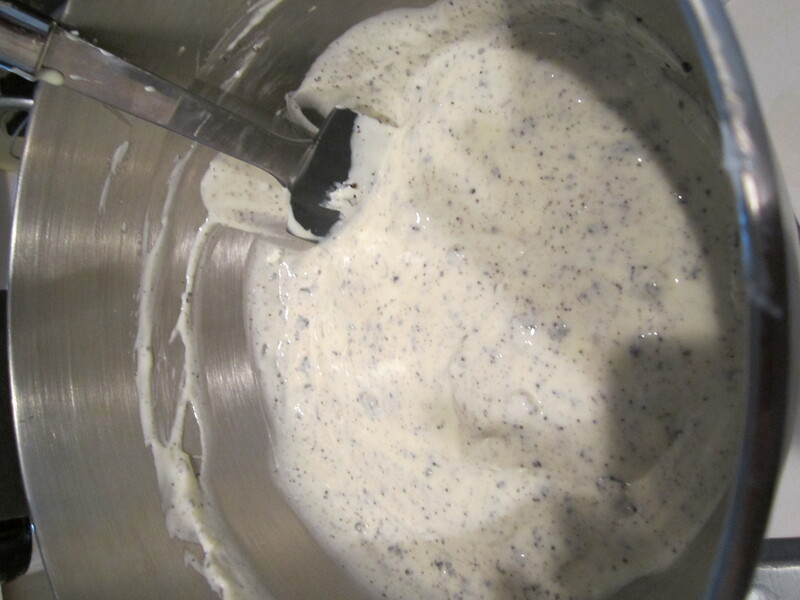 Refrigerate at least 4 hours (or overnight). Remove from tins just before serving. Garnish with fresh whipped cream and crumbled Oreos if desired.